The Short Cut Challenge was to create unique, futuristic hairstyles using natural food ingredients found in the kitchen, such as honey, flour, salt, egg whites and peanut butter. I’m pretty sure this was the most disgusting thing they could’ve thought of, except for using maybe human feces or something. Squid in your hair. Vomit. For the Elimination Challenge, the stylists were responsible for not only grooming a dog, but also to style their client’s hair to resemble their dog. Both Mr. Bee and I (yes, somehow Mr. Bee was actually watching a hair cutting reality show with me) were laughing our asses off when Daniel put hair extensions on his dog client. Friggin’ hysterical! Dee won the challenge, but I think it should’ve gone to Daniel for entertainment and creativity. And yes, your assumption that his ridiculously large eyebrows are the funniest thing about him is correct. Mark Breslin, owner of Yuk Yuk’s comedy clubs which hosted the Toronto audition for season 6, described the audition process actually employed during those auditions. He explained that while anyone who wanted to could wait in line to audition, most would be berated and embarrassed by the panel of comedy “experts” (usually “celebrities” who either know nothing or have never performed stand-up, like “Oscar” from NBC’s “The Office”) and then dismissed after only one joke. In fact, top local agents are usually given a number of specific call times for their clients. The first round of auditions were for a producer early in the morning, and those that were chosen came back for the celebrity judges in the afternoon. The other thing that sucked this season, besides the jokes, was how fast the season went. In one episode alone they eliminated 5 comics. 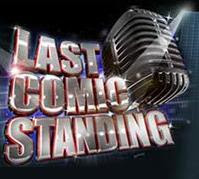 After the worthless audition episodes, there were only four shows of the comics actually competing and performing sets. Last week, Kathy hosted the Fur Ball, a Humane Society fundraiser, with Woz. It got super funny (and awkward) when Woz’s first wife came to the table and was chatting it up with Woz. He didn’t even introduce Kathy! I’d be pissed. Later Woz takes Kathy to a Segway polo match (really?!). I’m surprised with how easy a Segway looks to operate but I can’t imagine it ever being a popular mode of transportation. At least not here in Washington, that’s for sure. So after what I *think* was a couple months of courtship, Woz & Kathy’s relationship ended. It didn’t ever seem like they were really romantic, just kind of friends. And I don’t blame Kathy for getting irritated that a billionairre was taking her out to Bob’s Big Boy instead of Mr. Chow’s! !